Thread: Does This Have A Name? It looks familiar but I have no idea what it's called. I don't either, but I know I'm gonna make it!! Don't the name but, is beautiful in those colors. Boston, that's gorgeous. It's some kind of baskets but the name escapes me. I know it is a block from the book "Quilts from El's kitchen " it could be broken dishes but I can't find my pattern. shows on the left hand side of the book. good spot Arianna! it is one of these I'm guessing cactus bloom? Don't know the name of the block but it sure looks like a fun block to make and very easily done with graph paper. 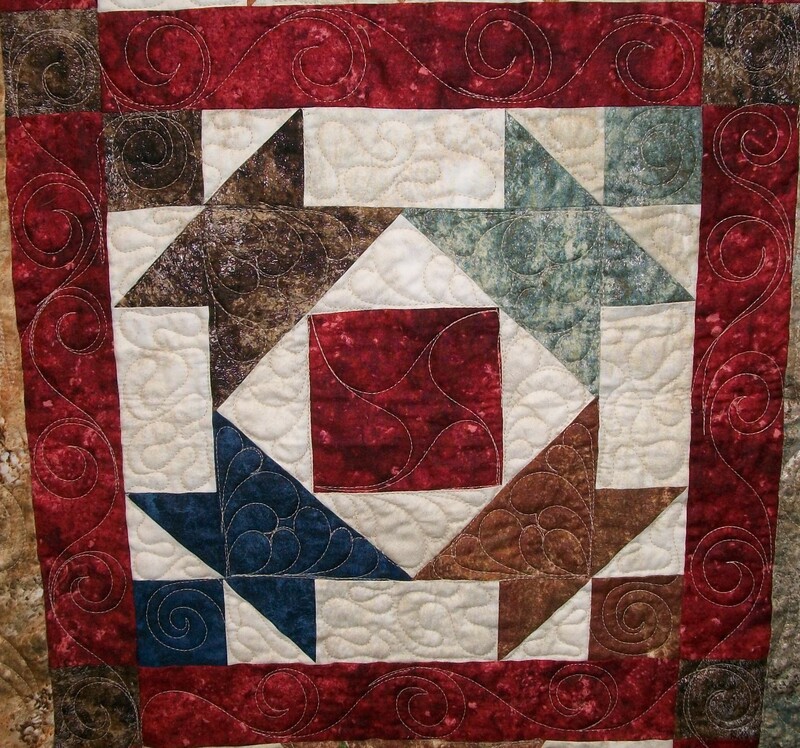 Please share a pic if you are making a quilt with this block. My goodness, why didn't I think of this before? I got out the book of blocks that my sister gave me years ago and it was there. It is called The Ruins of Jericho. By the way, this is part of a quilt I saw in a show a while back. I copied her colors because I found them striking. Looks like The Chinese Quilt Block to me. Of course there are other names. I remember we had a discussion on this board but all the remarks are gone. I really like your pattern, the colors you selected, and the quilting. It is also very close to the block Dove in the Window (six patch) shown in a Mary Ellen Hopkins book. Only difference is a HST in each corner instead of a square. Thanks, but it isn't mine. I saw this in a show some years ago.